356 p., 17,0 x 24,4 cm. Devout Jews have a large stock of words and expressions from the field of religion. This is conveyed through the daily prayers, the Shabbat and holiday services but also through the study of the Talmud and can also partially be applied in areas other than this primary usage. Thus it is for the most part Hebrew or Aramaic, and among the German Jews Hebrew or Aramaic with an Ashkenazic pronunciation. In this lexicon, Werner Weinberg presents a complete list of the vocabulary of a person with an average level of education. 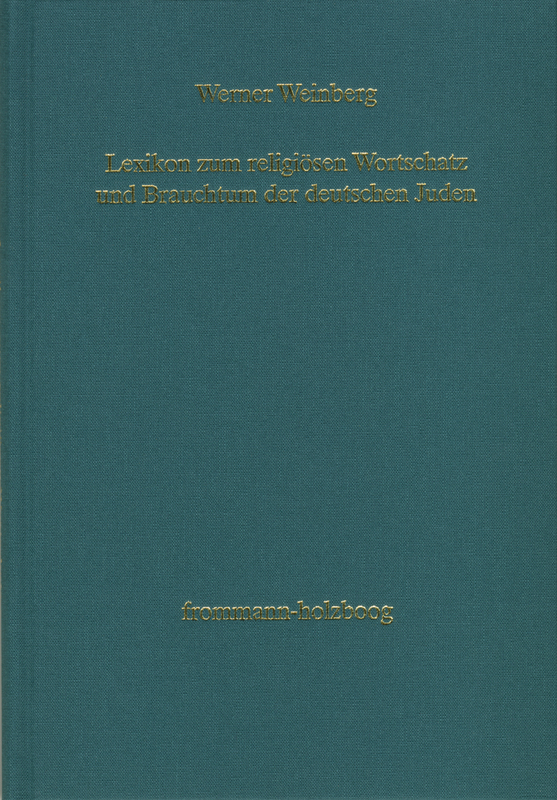 This is the first and presumably the last attempt to document the vocabulary of the German Jews in the field of religion and the manner of its general use in the first half of the 20th century among Jews. The Gentiles however by whom they were surrounded were hardly aware of this.